Have You Done Your Midcourse Corrections? While the wine is sleeping in the cellar, don’t forget about it! There will be ongoing maintenance and possibly midcourse corrections to be applied. February seems like a good time to get going on them. First and foremost, keep the sulfite levels up. Whether you use a 3% or 10% solution of potassium metabisulfite, pre-measured Campden tablets, or effervescent Inodose tablets, you should be adding sulfites at least once per month, all winter long. At least every other month, test for the level of free SO2 in your wine and adjust further as needed. You can bring in a sample for us to send over to our analytical lab partner Signature Wine Labs or buy and use an analytical kit like the Vinmetrica SC-100A or SC-300. Of course, you knew you should be adding and monitoring sulfite, but a little reminder never hurts since we don’t want that wine to be out of mind just because it is out of sight! Then there is oak. If you have not already gone to barrel or added chips, cubes, sticks, or staves, now would be a good time to do so. Some time this winter, you will also want to rack your wine off of any collected sediment (lees) and transfer it to a clean, sanitary container. In the case of barrels or larger tanks, you will probably need a pump, but for carboys and demijohns a racking cane and hose will usually suffice. All wines need to be racked at least once, and most are at their best if racked two to four times during aging. It is probably a bit early to start fining or filtering, but you may want to begin thinking about those processes. Then there is the question of midcourse correction. Here, I want to consider two potentially related areas: pH/TA and cold stabilization. OK, so maybe pH/TA is two issues all by itself, but they are so closely linked I will consider them together. Of course, back in October when you made the wine, you verified that the pH and the titratable acidity (TA) were in a reasonable range for your style of wine. Typically, white wine grape juice will have a pH in the range of 3.2 to 3.5 and a TA of 0.6 to 0.75 g/100 mL or percent (6 to 7.5 g/L if you use those units). Red wine musts are a bit less acidic (higher pH) and will have a pH in the range of 3.4 to 3.7 and a TA in the range of 0.55 to 0.7 g/100 mL (5.5 to 7 g/L). There are stylistic reasons that a particular wine might fall outside of these ranges, but these will serve for today’s discussion. pH rises and TA drops during fermentation. In red wines (or Chardonnay), malolactic fermentation (MLF) converts stronger malic acid into weaker lactic acid for part of the change. In reds or whites, there may be some loss of tartaric acid as potassium acid tartrate (cream of tartar) as the alcohol level rises and cellar temperatures drop for the winter, reducing the solubility of tartrates. Those lost tartrates, formed as crystals on the container walls, contribute further to higher pH and lower acidity. Wines at high pH are less stable with sulfites as preservatives (see p. 13 in the 2016 Summer Wine Newsletter and Catalog for the exact relationship). Wines with low acid taste soft and flabby and can be made more brisk and refreshing if acid is increased. Therein lies your midcourse correction. Even if pH and TA were fine at harvest, check again in February or March. If pH is too high and TA is too low, add tartaric acid. Adding one gram per liter produces exactly a 1 g/L (0.1 g/100 mL) adjustment. So if you are at 0.5 g/100 mL, for example, that is 5 g/L. If you want to go to 6.5 g/L, add 1.5 g/L of wine for the increase (6.5 – 5 = 1.5). For those of you who prefer gallons, every 1 g/L is the same as 3.8 g/gallon. Adding acid will also lower your pH, but not in a linear manner. If pH is too high and your wine can tolerate higher TA, add acid. If you pH is too high but your TA is already high enough (or too high), you probably just need to live with unstable wine. 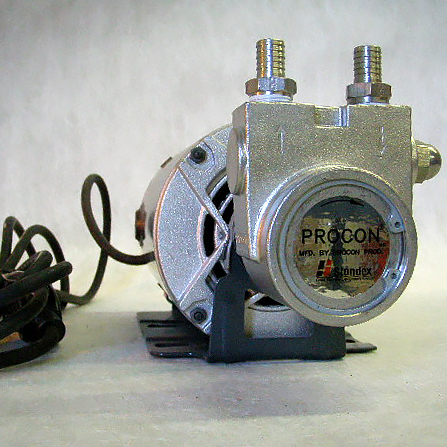 This is where the second component comes into play: cold stabilization. While the weather is cold, try to expose your wine to those chilly temperatures. Open the cellar door at night or move the carboys out to get cold (not in the daytime: wine can become “light struck” and develop off flavors). After the tartrates have precipitated, rack to a clean, sanitized container and check the pH and TA again. If you then add acid, note that the wine may become unstable to cold temperatures again. Either repeat cold stabilization in that case, or recognize that you may get tartrate crystals in the eventual bottled wine. To check on pH and TA, there are several choices. Just as for sulfites, you can bring in a sample for us to send over to Signature Wine Lab. On your own, you can use the Vinmetrica SC-300 mentioned earlier to test for pH and TA in addition to sulfites. For an instrument exclusively for pH and TA, you can purchase a Vinmetrica SC-200. Separate tests are also available. 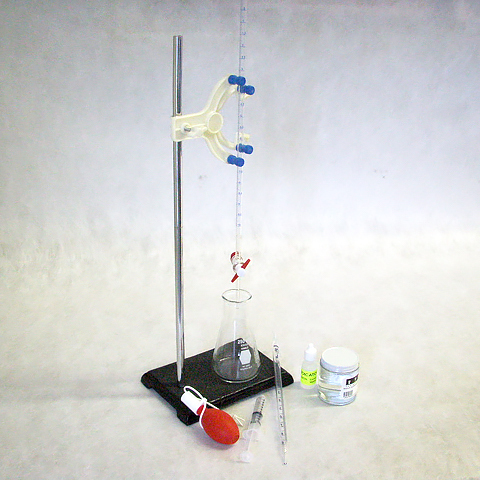 You can measure TA with a Beverage People indicator-based titration kit or the little Country Wines manual titration. The phenolphthalein color endpoint is somewhat difficult to see in red wine, so you may want to get a pH meter (which also allows you to measure pH). 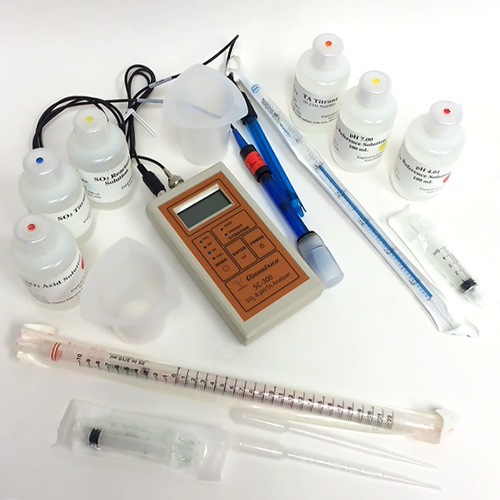 The Milwaukee MW 101 is a bench-style pH meter that uses an interchangeable pH probe with industry-standard BNC connector. The Oakton pH Testr 20 uses a proprietary pH electrode, but has the added convenience of being portable and waterproof, although response is a bit slow (pH is completely accurate, but titrations may be difficult). Both measure to the nearest 0.01 pH. 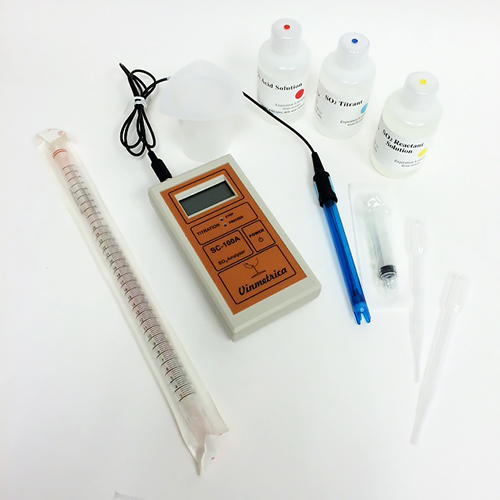 Note that we also carry pH strips that cover the wine pH range, but with a distinction of only +/- 0.5 pH, they may not be precise enough for the kind of adjustments discussed here. So, keep up the sulfites. 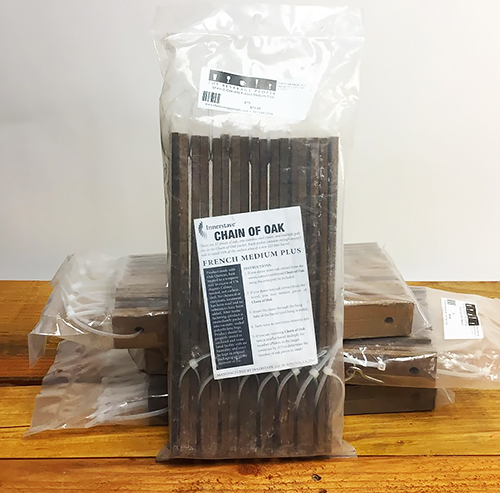 Execute your oak program. Cold stabilize. Check and adjust (as needed) pH and TA. Then on to a personal note. Since wine making has so many French terms—sur lie, bâttonage, cuvee, and so forth—I decided to use one more: À tout à l'heure! A rough equivalent to “See you later,” the phrase expresses my sentiments as I prepare to retire this month from The Beverage People. I have had a very rewarding 13 1⁄2 years here (10 of them as an owner) and I have learned new things every day from our customers, wine professionals, and my co-workers. 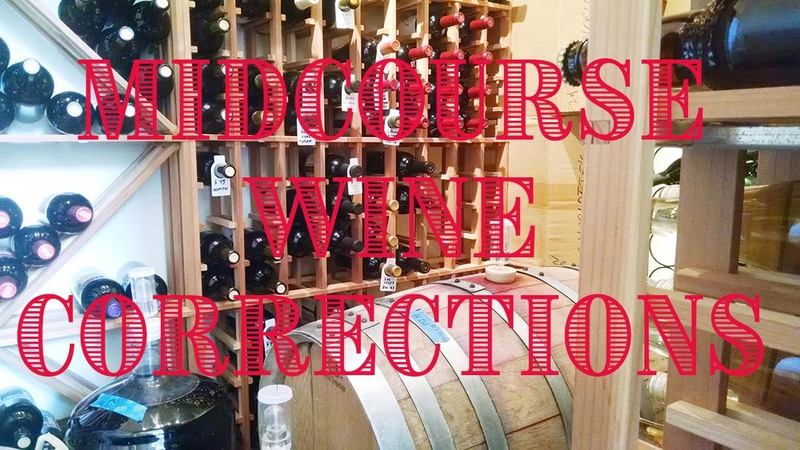 I have written a fair number of the articles in the catalog/newsletters for which we are so well known, and I have been writing these wine- focused e-newsletters from the start. While I will no longer be coming in every day, I definitely intend to keep practicing the hobbies! I am going to plant more vines in my hobby vineyard, make more of my own beer, and continue making cheese (and some charcuterie). If you would like to talk to me in person, you can look for me at upcoming WineMaker Magazine conferences like the one this spring in Ithaca, NY. I will also continue to write the Techniques column and occasional feature articles for WineMaker. And as for writing for The Beverage People, I will continue to make myself available to current store owners Gabe and Jane Jackson for occasional articles or emails. So this is my last contribution as an employee of the store, but it is not “goodbye,” just à tout á l’heure! USE THE FOLLOWING LINK TO VIEW AND PRINT THE RECIPE.